At this point, it’s probably more than fair to say that Warner Bros. has a hit on their hands with Patty Jenkins’ Wonder Woman. Scoring solid reviews pretty much across the board, and already starting to post some impressive numbers at the box office, the film has proven to be a big win for both the DC Extended Universe and all of the currently in-development female-led comic book movies out there. As such, it’s really no surprise that other studios are now hoping to get in on the action. We already know that Marvel is planning a solo outing for Carol Danvers in Captain Marvel, and Sony has Silver & Black in development, but it now sounds like the latter is hoping to go one step further. Last week, we heard that the studio was looking to introduce a few other notable Spider-Man characters into the mix, with Spider-Woman and Kraven the Hunter being rumored for the spinoff. There’s no confirmation on that just yet, but Splash Report is back with another hot rumor today, this time telling us that what Sony’s actually doing here is building to an all-female Spider-Verse movie, in the vein of The Avengers. 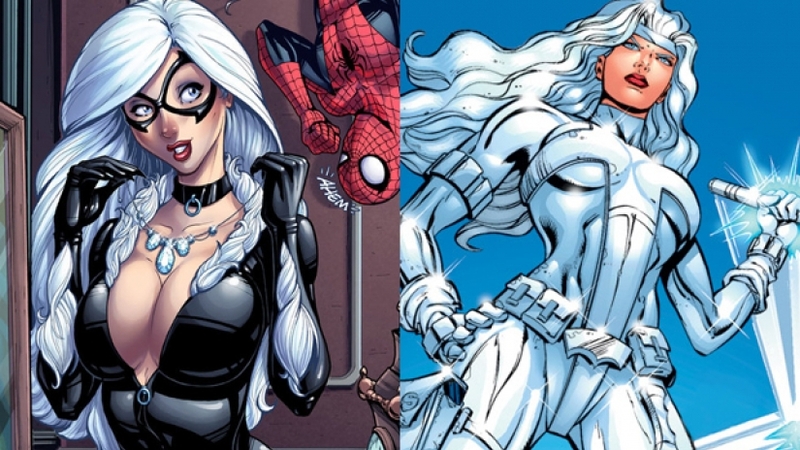 According to them, the team would consist of Jessica Drew (Spider-Woman), Charlotte Witter (Stunner), Sarah Ehret (Jackpot) and Cassie St. Commons (Dusk), in addition to Black Cat and Silver Sable, of course. As Comic Book Movie points out, Charlotte Witter is actually another incarnation of Spider-Woman, while Stunner’s real name is Angelina Brancale. It’s unclear who exactly the report is talking about then, but if there’s one thing that’s quite apparent, it’s that Sony has some big plans for their burgeoning cinematic universe. One that doesn’t include Spider-Man, might we add. An odd decision, to be sure. After all, what’s the point of building this franchise with all of Spidey’s most notable foes and allies if you can’t even include the web-slinger himself? It’s a good question, and one which will hopefully be answered as the studio’s plans begin to materialize a bit more. 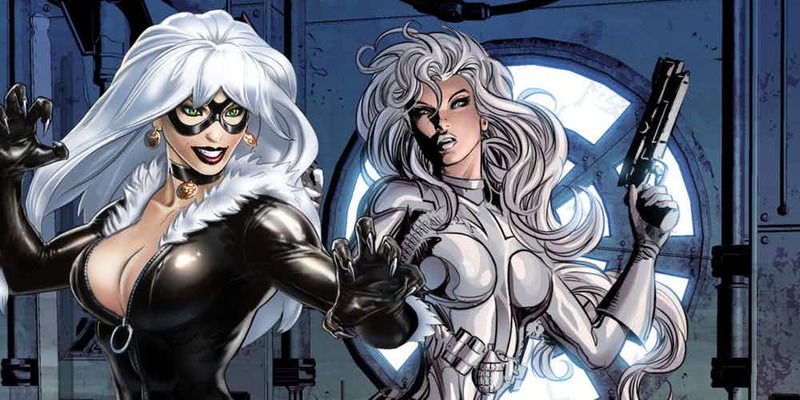 For now, treat this latest scoop from Splash Report as a rumor, as there’s been no confirmation from any official source just yet and likely won’t be for some time, given that Silver & Black is still in the earliest stages of development. As always though, we’ll be sure to let you know once we hear more.